Seaside weddings, or ocean wedding theme? 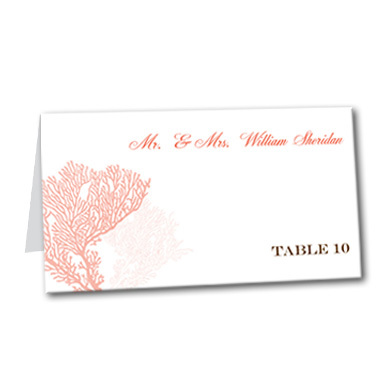 This Coral Delight table card is perfect for both. The design is simple, with beautiful coral reef, depicted in intricate detail and a vibrant coral hue. Two-toned lettering creates an eye-catching look, so guests are sure to remember your big day. Coral Delight Table Card For the best experience, we recommend personalizing your stationery on a desktop computer.